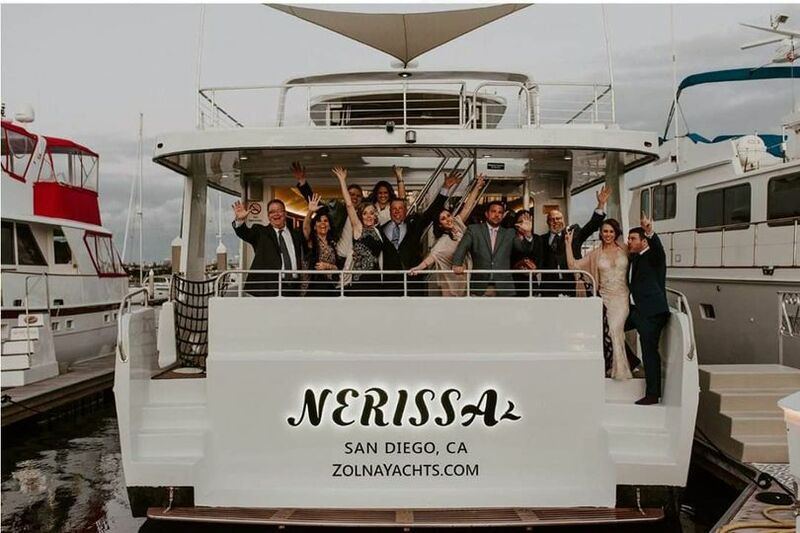 Zolna Yachts in San Diego, California offers a unique venue for your wedding day festivities. The beautiful boat is well-maintained and can be rented by the hour. The Nerissa is a Bonner Navigator Motor Yacht that is 73-feet-long. The contemporary style is ideal for any wedding and the incredible wood details throughout are quite impressive. 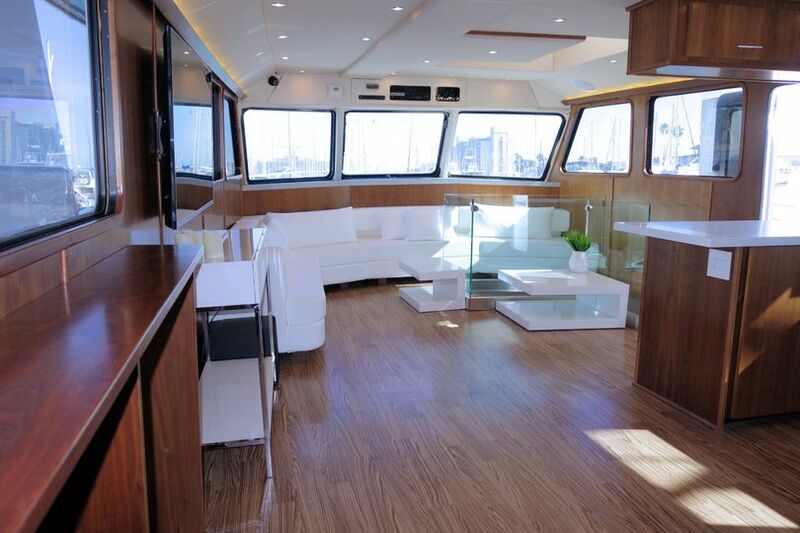 Your guests will surely be impressed with your choice of venues when you choose Zolna Yachts. 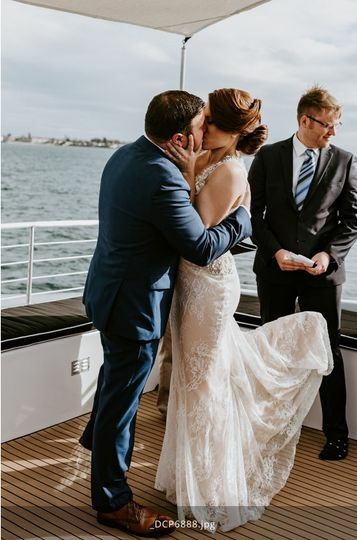 Most of the couples that rent the yacht host their ceremonies on the top deck where breathtaking views of the Coronado Bay Bridge create a perfect backdrop. The party continues downstairs with food and entertainment. The capacity of the entire boat is 49 guests. Hot tub on top deck! My favorite part of our wedding day! This was such a fun experience!  The Zolana team was professional, and felt like friends. They made sure every detail was perfect. 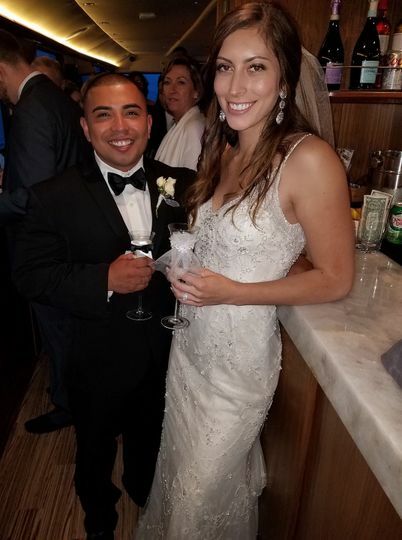 This was the best part of our wedding day, I didn't want the night to end! All of our guests also now have a memorable experience, this was the perfect way to celebrate our wedding day! Thank you Heidi for this nice review. 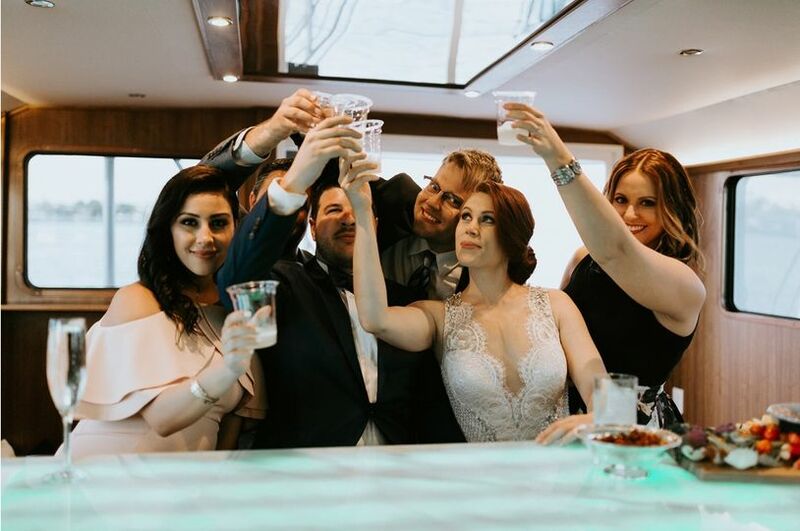 On behalf of the Zolna Yachts team, we wish you and Raul all the happiness in the world. Please come see us again soon.